BTI’s analysis measures top-of-mind recognition of 334 law firms based on unbiased, direct feedback from more than 686 in-depth interviews with corporate counsel at the world’s largest organizations. During the course of one-on-one in-depth interviews conducted between February 2016 and January 2018, BTI probed clients as to which law firms they associate with the 9 distinct characteristics driving the selection, consideration and hire of new law firms. 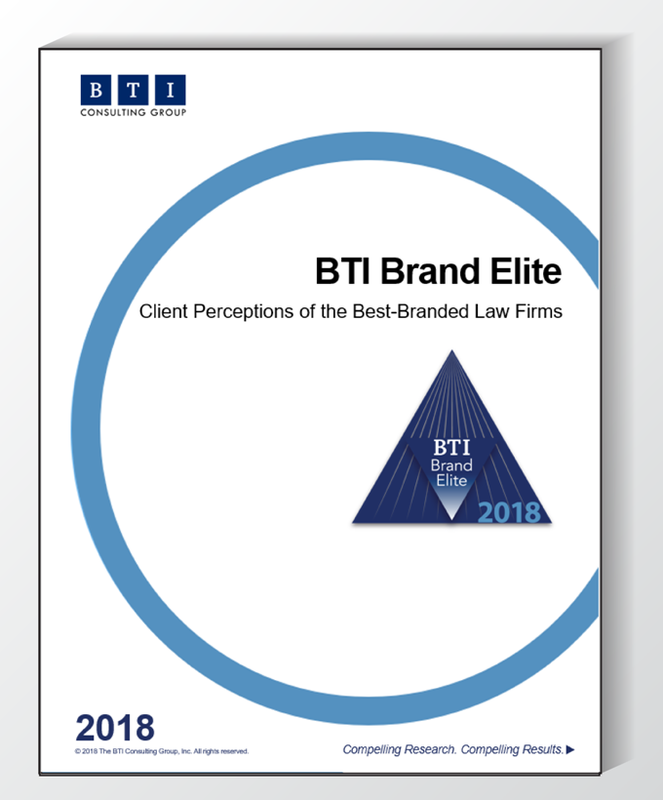 Each and every law firm included in BTI Brand Elite 2018: Client Perceptions of the Best-Branded Law Firms is the direct result of a specific unprompted client citation. We did not present clients with any law firms, by name, for the purpose of this analysis. Our research team includes some of the most respected, oft-quoted experts in the legal industry. Our analysts boast extensive training in statistics, survey technique and analytical methods. They have degrees from top universities and business schools and 5 or more years of practical experience in such applicable fields as professional services marketing, accounting, strategic research and economic and management consulting. Our interviewers are all college-educated and average more than 20 years of experience interviewing C-level and top executives.